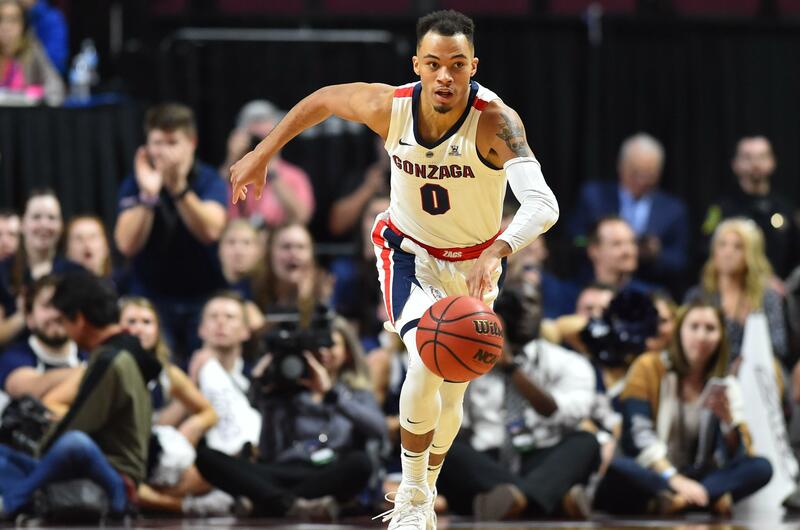 Mon., March 18, 2019, 5:57 p.m.
Senior guard Geno Crandall watched Sunday’s Selection Show with great interest to learn Gonzaga’s seeding and also see the draw for numerous friends. Crandall, a Minneapolis native, knows virtually everybody on Minnesota’s roster. His teammates at DeLaSalle High included 6-foot-8 forward Reid Travis, a graduate transfer at Kentucky, and 6-5 wing Sacar Anim, a redshirt junior at Marquette. Gonzaga is the top seed and Marquette the No. 5 in the West. Kentucky is No. 2 in the Midwest. Minnesota is seeded 10th in the East. Crandall is friends with Duke freshman Tre Jones and his older brother Tyus, who played a key role in the Blue Devils’ win over the Zags in the 2015 Elite Eight. The Jones brothers played at Apple Valley High, about 30 miles from Minneapolis. There aren’t many connections between Gonzaga and potential first-round foes Fairleigh Dickinson and Prairie View A&M, but point guard Josh Perkins came up with one. Perkins’ friend Ghassan ‘Gus’ Nehme played two seasons at Fairleigh Dickinson, but now plays professionally in Lebanon. Nehme averaged 4.3 points in 44 games. The two were prep standouts in Colorado. “He probably wants them to win (Tuesday’s First Four game against Prairie View A&M) so they play us Thursday,” Perkins said. Published: March 18, 2019, 5:57 p.m.